Elegant styling enhances the sophisticated image of the 2017 Ford Taurus. As a four-door sedan, this model is ideal for carpooling, commuting or just driving around in style. Ample room for five and plenty of cargo ensure the sedan meets your needs. Choose from several trim levels: SE, SEL, Limited and SHO. Sleek lines create an aerodynamic look for the 2017 Ford Taurus that is sure to capture attention. Sporty design comes from the wider stance of this model while LED lights are sure to get noticed. Choose from multiple body colours and wheel designs to ensure this model shows a little of your personality. Notice the rear spoiler and chrome exhaust tips that continue the sporty image. 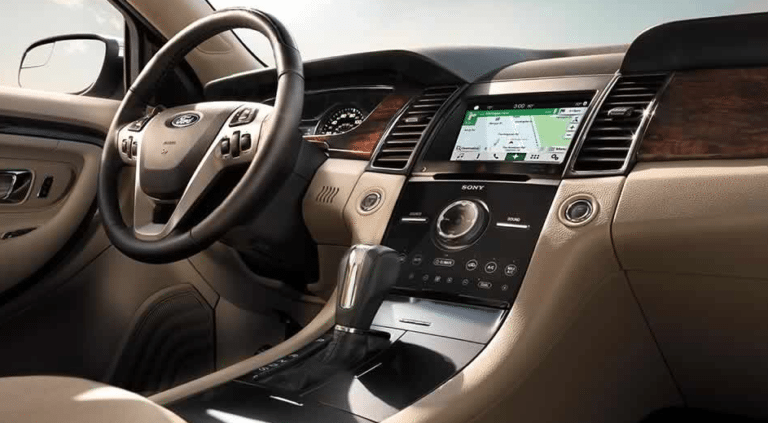 Slide inside the 2017 Ford Taurus where sophisticated comfort awaits you. This model features soft-touch materials for your driving pleasure while the available heated steering wheel feels good to your hands on cold days. Heated and ventilated front seats wrap you in just the right temperature. Passengers will be quite happy on cold mornings when they slide into the heated rear seats. Ambient lighting helps to create a relaxing atmosphere for your journey. Turn up the available Sony audio system to listen to the ideal road music while HD Radio and SiriusXM give you more options for entertainment. Upgrade to the Sony premium sound system with its Clear Phase and Live Acoustics. Thanks to SYNC 3, which is an available option, you can control your settings with just your voice. Technology also helps keep you safe thanks to the rearview camera and systems like forward collision warning and lane keeping. Protect your 2017 Ford Taurus with accessories like deflectors and covers that are designed to fit and work with the design and systems of the sedan. Cargo organizers make it easier to find your stuff while deflectors help prevent damage. You can even choose a unique spoiler to make a bold statement. Three engine options allow you to enjoy premium performance with the 2017 Ford Taurus. This sedan includes two EcoBoost engines if efficiency is your concern while a turbo engine gives you that extra boost of power. Trust the available all-wheel drive to keep you on the road even in bad weather. 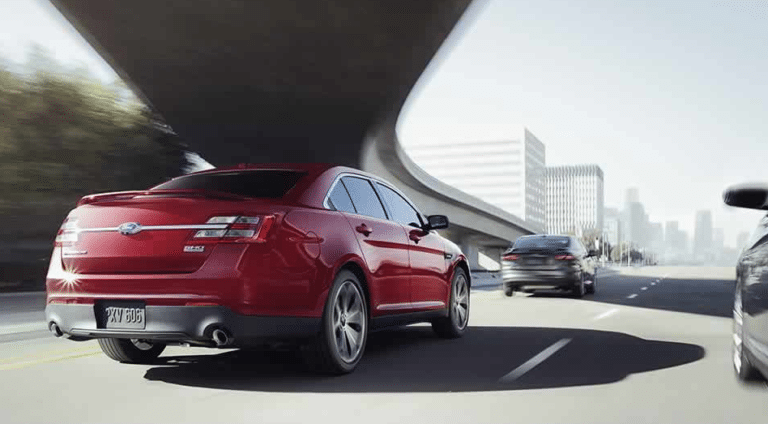 Award-winning design and power make the 2017 Ford Taurus the obvious choice for many drivers. Feel secure behind the wheel of the 2017 Ford Taurus with all of the safety features that are available. You can always rely on the Ford warranty for the 2017 Ford Taurus. 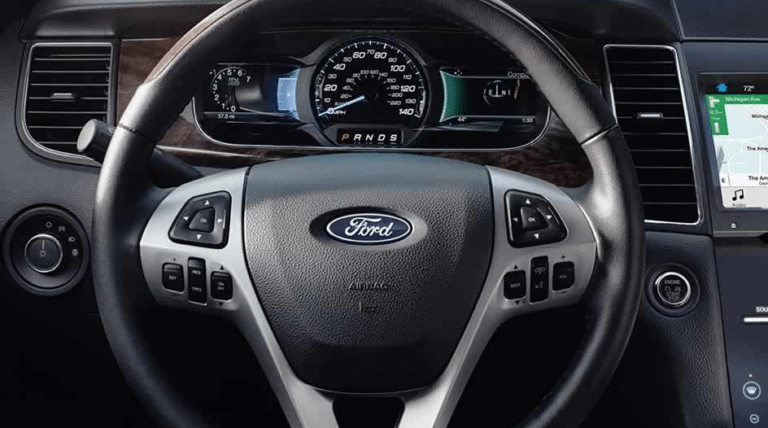 Feel confident behind the wheel of the 2017 Ford Taurus that provides everything you need for the journey. Enjoy supreme safety and efficient performance no matter where you go. This sedan offers sophistication and comfort for the driver and every passenger. 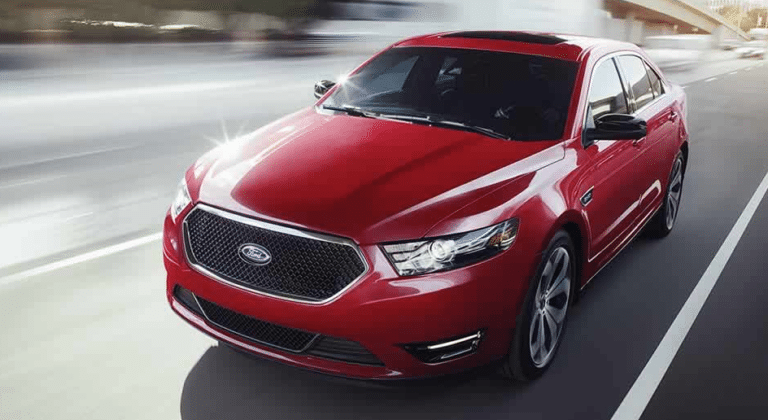 Learn more about the 2017 Ford Taurus and all of the latest Ford vehicles at Watkin Motors Ford. If you live in the Okanagan area, you’re sure to be impressed with the sales and service of your local Vernon Ford Dealer – Watkin Motors Ford. Come in today to find the right Ford vehicle to drive home.